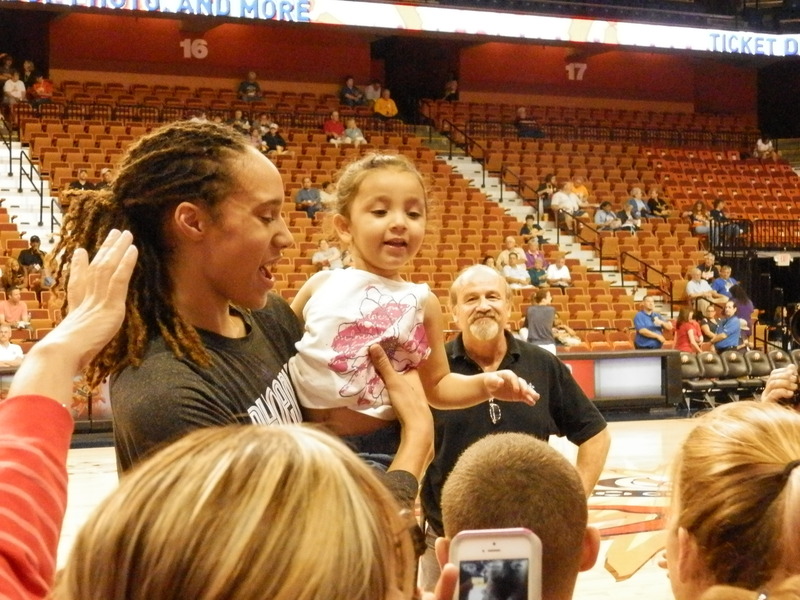 My sister and I traveled to Uncasville, CT last Saturday to watch the WNBA’s newest star, Britney Griner, play. 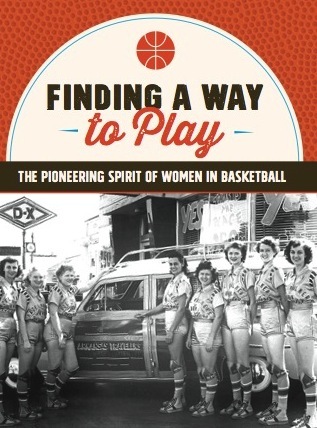 We’d missed out on seeing Griner in the Final Four last April, as the upstart Louisville Lady Cardinals shocked Baylor — and the rest of the basketball world — with its gritty, one-point win in the regional semifinals. Griner is the 7-foot wonder woman who can dunk with ease and, in college anyway, forced opponents to change the arc of their shots for fear of rejection. 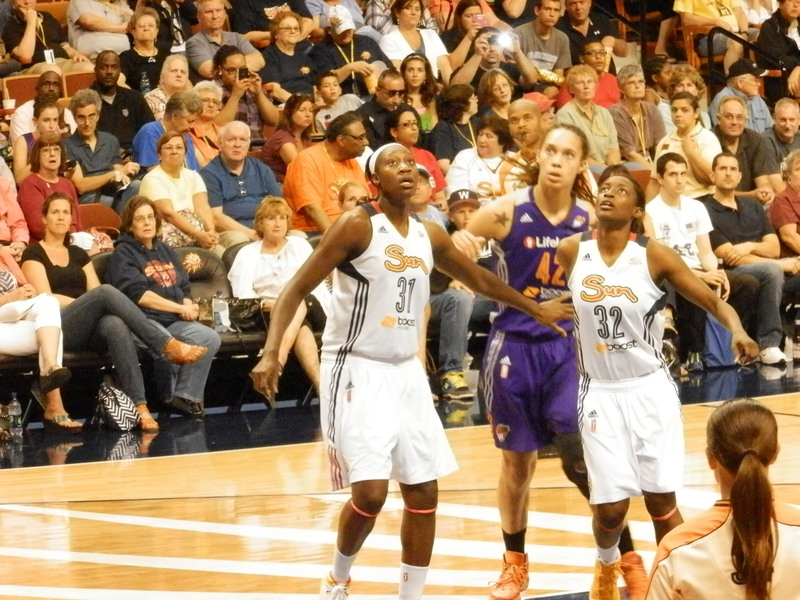 Against the Connecticut Sun, though, who were led by UConn grad Tina Charles in the post, Griner’s game was effectively neutralized. In foul trouble early on, she sat for long stretches, watching another UConn grad, teammate Diana Taurasi, lead Phoenix to a decisive win. After the game, Phoenix’ coach acknowledged that he had tried early on in the season to have the offense run through Griner in the post — without much success. So Phoenix has reverted to a successful run and gun style that is exciting to watch but leaves Griner on the periphery at times. If Saturday night is any indication, Griner is succeeding on that front. The Mohegan Sun arena was mostly full and the partisan crowd gave her a rousing cheer when introductions were made. 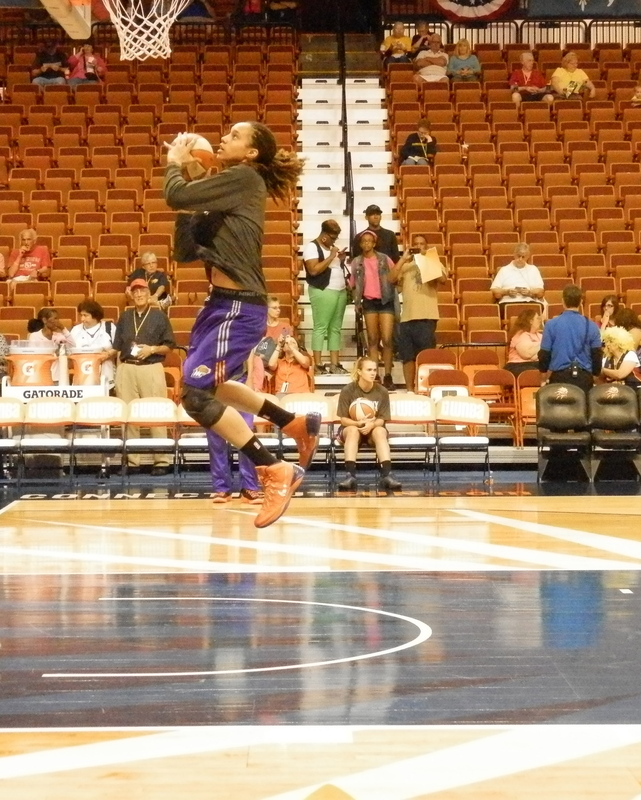 Perhaps we’ll look back and say we were there when the rookie Griner seemed, well, like a rookie in training.